OVER THE YEARS WE’VE BECOME OBSESSED with the way travel creates connections between people. We believe travel is itself defined by connections between people. When a personal connection — be it a family member, a friend, even just a friend of a friend — shows you around a place, it deepens your experience. The same can be said when you hook up with a fellow traveler and are able to share a place together. But so often as travelers, we end up in places where we just don’t know anyone. We set out to solve this by envisioning a kind of ultimate travel tool, an app that would allow you to simply arrive in a new place where, even without knowing a soul, you could effortlessly connect with locals and other travelers who share similar interests. travelstoke makes traveling 10 times more fun, creative, and spontaneous by connecting you with cool people where you’re going and helping you discover new places anywhere around your location. 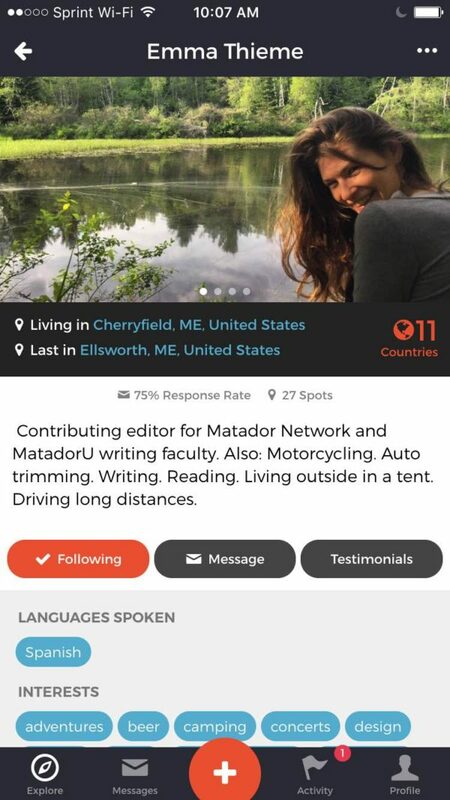 Users create a profile like this one with options for giving advice, offering places to stay, and showing their interests, from mountain biking to craft beer to architecture. 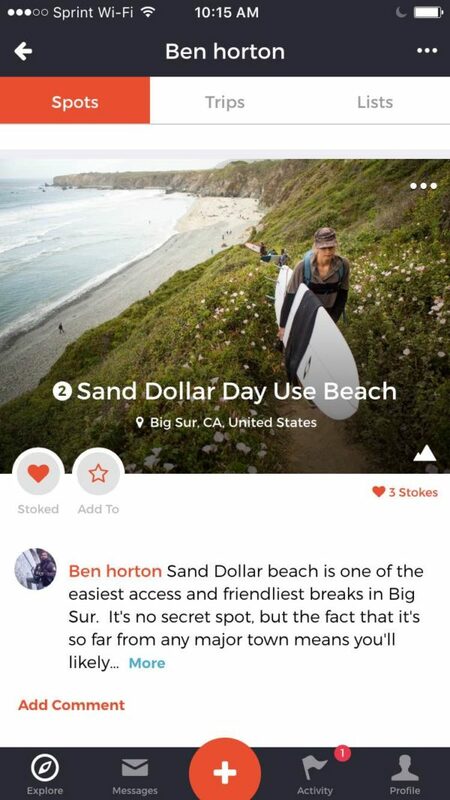 From there, users create “spots” by taking a photo, tagging, and adding a brief description. The interface is very familiar-feeling and fast. Spots can be of anything: restaurants, bike shops, trails, ski runs, food trucks, speakeasies, parks, archaeological sites. Once a spot is created, any user can then “stoke” it, which saves the spot and allows the user to organize it as part of a current or past “trip” or add it to a “list” (like a wishlist) for future travel. Users can get endlessly creative with lists: maybe you want to create an original beer and cycling tour through the West. Or maybe you’re crafting a kid-friendly itinerary through France and Spain. Because spots are seamlessly integrated into Google Maps and Uber, and because they’re way more granular and right-to-the-trail-head kinds of info than what you find on Yelp or travel recommendation websites, these spots become powerful trip-planning tools saved right to your phone and available offline. With these tools, travelers are already creating a new kind of travel media, documenting their journeys — from summiting peaks in the Rockies to finding the best taqueria in Coyoacán — in a beautiful and effortlessly shareable format. And all while, they’re giving others actionable info (not to mention inspiration) for their own travels. But beyond the media created, the true heart of this app is the user community itself. Fellow travelers are finding each other in the unlikeliest of places or even back at home, collaborating on projects, going for a quick paddle, or just meeting up for beers. Join the travelstoke community right now; we look forward to seeing you in the community! Please visit travelstoke for a free download to either Android or iOS.